Are You Experiencing Injuries from an Auto Accident? Are You Dealing With Neck and Back Pain? Pleased to Serve Our Patients! Your Injury & Accident Specialist, available for QME & AME Exams in North and South County. Are you a regular athlete or "a weekend warrior?" Either way, the constant motion, pressure, and tension of athletic pursuits strain joints, ligaments, muscles, and bones. At Wachs Chiropractic Health Center in Chula Vista, CA, sports injuries are a particular interest of Dr. Steven Wachs. Specially trained in chronic and acute sports injuries, he uses chiropractic techniques to increase both performance and wellness. The American Chiropractic Association says that 90 percent of professional and other world-renowned athletes use chiropractic care to increase their levels of performance and to avoid both acute and long term sports injuries in Chula Vista, CA. Whatever the sport, participation almost guarantees some sort of injury to joints, connective tissue, and more. The back--the cervical, thoracic and lower spine--is particularly prone. However, a complete chiropractic evaluation at Wachs Chiropractic Health Center in Chula Vista, CA, can diagnose current problems and identify areas of weakness. A hands on examination of the spine, along with X-rays and MRIs as needed, help your chiropractor craft a care and training plan to heal, protect and strengthen your spine and other areas of the body, too. Chiropractic manipulations, often part of a care plan, increase mobility, reduce inflammation, help circulation and loosen areas of muscular tightness. This hands-on therapy, sometimes preceded by massage, puts the spine back into proper alignment, keeping your vertebrae and associated nerves in proper balance. If you suffer an acute sports injury, or if you anticipate beginning a sport or a vigorous program of exercise, come to Wachs Chiropractic Health Center in Chula Vista, CA. Walk-ins are definitely welcome as Dr. Wachs and his team want to put you on the path to optimal spinal wellness and function--no matter what level of athlete you are. Call us at (619) 427-4747! Have you suffered injuries from an auto accident? What you do with those injuries early on changes your recovery and long-term function. At Wachs Chiropractic Health Center in Chula Vista, CA, Dr. Stephen Wachs and his team treat auto accident victims compassionately and accurately. Here's how we can help. The National Institute of Neurological Disorders and Stroke blame auto accidents for most of the 300,000 cases of whiplash that happen in the United States every year. What is whiplash? This injury to the soft tissue surrounding the cervical (neck) spine occurs when a car and its occupants suddenly decelerate as they collide with another object. Even a low-speed impact (around 15 miles per hour) can cause the head and neck to immediately snap backward, injuring the bones (vertebrae), nerves, muscles, and ligaments of the neck. 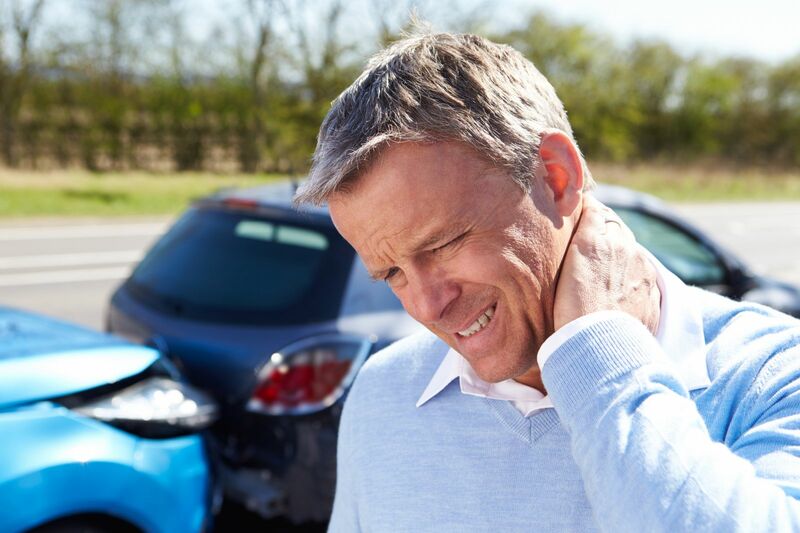 Often, the results of whiplash are not immediately apparent, but over time, patients typically develop a number of symptoms which affect their mobility, comfort, and range of motion. Chiropractic evaluation is recommended followany auto accident in Chula Vista, for quick examination, X-rays (and other imaging), and treatment lessens the effects of auto injuries. Additionally, accurate documentation of chiropractic examination, diagnosis, and treatment are all important in any personal injury actions taken in a court of law. So, if you are involved in an auto accident, call Wachs Chiropractic Health Center right away for an appointment. Dr. Wachs will perform a complete chiropractic examination, including noting any subluxations, or misalignments in your spinal column. Rest assured Dr. Wachs will custom-tailor your care plan to accommodate your specific injury and your overall health. If you've suffered an injury in an auto accident, at work, or while playing sports, we can help return you to optimal wellness and function. Please call Wachs Chiropractic Wellness Center for a personal consultation today at (619) 427-4747. We look forward to serving you! Find out the many ways in which chiropractic treatment could improve your current physical condition. Every 7 seconds, a worker is injured on the job. Many people might find this statistic shocking, especially since many work-related injuries could actually be prevented altogether. Furthermore, more and more working professionals are complaining about back and neck pain and musculoskeletal problems as a result of sitting hunched over their desk for hours on end. This is where our Chula Vista, CA, chiropractor Dr. Steven Wachs comes in! As you might imagine, sitting at a desk all day long and leading a sedentary lifestyle can greatly increase your chances of developing musculoskeletal problems. Fortunately, chiropractic care provides an effective way to improve many conditions, helping patients alleviate their symptoms while also getting them back to work faster. Furthermore, our chiropractor, Dr. Wachs, can even sit down with you to discuss different lifestyle modifications and habits to that will improve your working conditions and prevent future work-related injuries. For example, we can recommend specific ergonomic chairs, to prevent you from hunching over your desk or straining your neck. Proper posture will not only protect the health of your spine but also keep the rest of your musculoskeletal system working properly. Regular chiropractic adjustments have been known to not only treat a variety of ailments and injuries but also prevent issues altogether. Regular spinal adjustments, lifestyle and occupational changes, and specific therapeutic exercises have all been known to improve your posture and relieve a variety of symptoms common to many working professionals. Intersted? Give us a Call! If you are interested in finding out how our chiropractic team can straighten you out and improve your health, call Wachs Chiropractic Health Center in Chula Vista, CA, to schedule your no-risk consultation! Our number is (619) 427-4747. Don’t let work-related injuries keep you from living your best life. Did you know that 374 million non-fatal work-related injuries occur each year? Many of these injuries are serious enough to keep people out of work for days, weeks and even months on end. We know that many of our patients aren’t able to afford to take that much time off work, nor can they afford to deal with chronic pain and other issues that can greatly impact their quality of life. Our Chula Vista, CA, chiropractor Dr. Steven Wachs sees many patients dealing with musculoskeletal issues due to occupational injuries, and we offer many solutions for improving your symptoms. What are the most common work injuries? How should I handle a work-related injury? It’s important that you seek medical attention as soon as possible after the injury to ensure that you get the proper care and treatment you require. Leaving injuries or health problems untreated could lead to further complications. Of course, some patients are looking to treat the problem rather than mask painful symptoms with medication. This is where chiropractic care can help. Chiropractic treatment is a great option for those living in Chula Vista, CA, dealing with work-related injuries and health problems. In fact, the various techniques and treatments we use are completely drug-free and can promote faster healing while providing you with the pain relief you’ve been looking for. After all, chiropractic care focuses on treating the cause of the pain rather than just managing the symptoms. Why is chiropractic care a good option for treating work injuries? Through treatment options such as spinal manipulation, decompression, physical therapy, ergonomics and physical therapy our chiropractor, Dr. Wachs, can promote faster healing, increase range-of-motion and flexibility, improve your physical and mental outlook and even help you prevent further injuries in the future. Your health is important to us. If you are dealing with pain, stiffness or other issues as a result of a work-related injury or accident call Wachs Chiropractic Health Center in Chula Vista, CA, today to schedule a consultation with us. Your favorite sport can be hard on your body, causing aches, pains, and injuries that keep you off the court, field, or track. 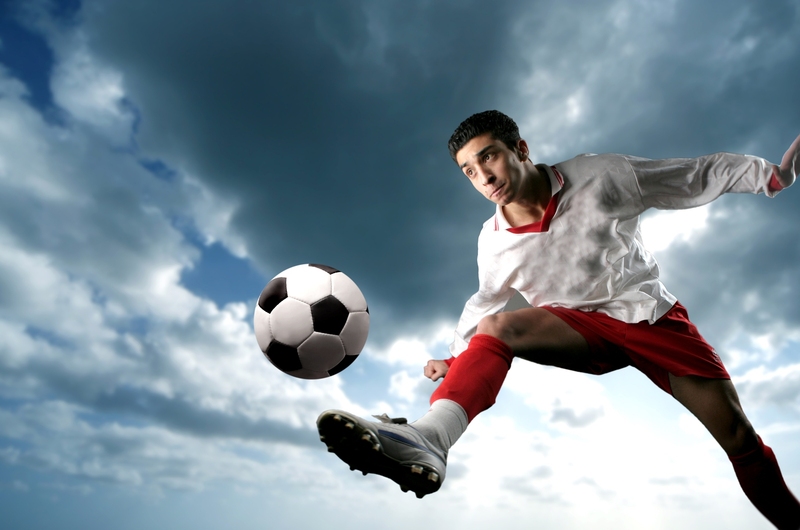 Dr. Steven Wachs of Wachs Chiropractic Health Center in Chula Vista, Oceanside, and Escondido, CA, provides a variety of treatments that can help you return to the game. What types of injuries are caused by sports participation? Head and Neck Trauma: Football is probably the sport that comes to mind when you think about sports-related head trauma, but the head and neck injuries can occur in other sports too. Gymnasts, soccer players, boxers, and hockey and lacrosse players may experience blows or falls that cause concussions, cervical spine or neck injuries, headaches, dizziness, and neck and back pain. Back Injuries: Swimmers, weightlifters (even those who only use resistance bands), tennis players, runners, golfers, and others may be prone to developing back injuries. Back pain is particularly common in sports that involve twisting, flexing, lifting, or sudden jarring movements. Your Chula Vista, Oceanside, or Escondido chiropractor can offer treatments that will help relieve your symptoms, including manual manipulations that realign your spinal column, massage, ice/heat therapy, ultrasound, and other therapies. Sprains and Strains: Sprains and strains can happen in nearly any sport, even low-impact sports like swimming. You may be more likely to experience a sprain if you participate in sports that involve jumping or forceful landings, such as basketball or gymnastics. Tennis Elbow: Tennis elbow occurs due to a tear or rupture in the tendon that connects the muscles of the forearm to the outer part of the elbow. It's particularly common in tennis players, but can occur in any sport that involves repetitive arm movements, such as weightlifting. Chiropractic care can help relieve pain and improve range of motion and other issues that often accompany sports injuries. Call Dr. Wachs of Wachs Chiropractic Health Center in Chula Vista, Oceanside, and Escondido, CA, at (619) 427-4747 to schedule an appointment.